We offer wide range of Shimadzu Balance. Being a client-centric organization, we are engaged in providing Digital Balance. 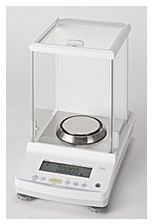 This balance is used very commonly in laborites for weighing chemicals. Our highly experienced professionals manufacture this balance from high grade components as well modern technologies in adherence to set industry standards. Ahead of its final dispatch, the provided balance is thoroughly checked by our quality experts against numerous measures. Our clients can purchase this balance at industry leading price within promised time frame. We are dedicatedly engaged in offering a commendable range of Shimadzu Balance. 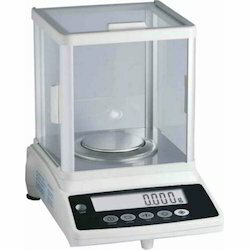 The offered balance is useful for measurement of chemicals. Using high-grade components and advanced technology, the provided balance is manufactured under the strict vigilance of deft professionals at our technically sound production house. Owing to its remarkable features such as durability and high performance, the offered balance is exceptionally valued by our honored patrons. Our in-depth knowledge and industrial expertise enable us to offer a distinguished range of Moisture Balance. 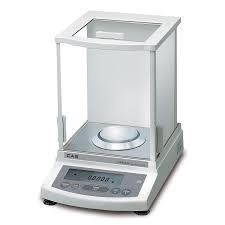 This balance is used to determine moisture and the amount of dry mass as well as the consistency of volatile and fixed substances with high accuracy. We manufacture this balance making use of optimum-grade components as well sophisticated technology according to the set industry standards. To deliver flawless delivery at our patrons' end, this balance is rigorously inspected by our quality auditors against various quality parameters. Looking for Shimadzu Balance ?